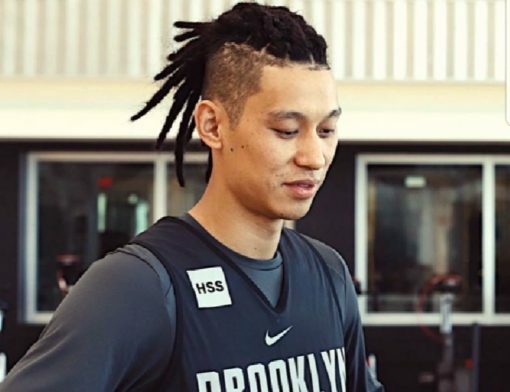 You don’t really need a fluffy introduction about how he’s played for five seasons or a conclusion to tie his change of jerseys to changes in hairstyles — simply, it’s a post with photos of Jeremy Lin’s haircuts throughout the years. Please enjoy them. 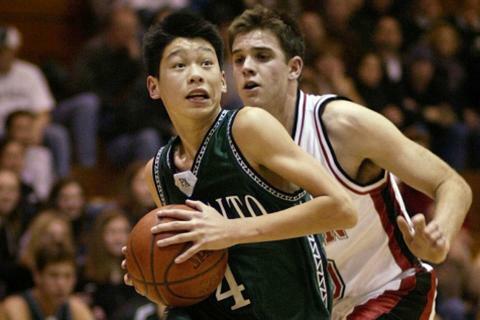 In high school, a thin Jeremy Lin sported a porcupine cut when he was chosen for the 2005-06 first team Cal-Hi Sports all-state team. 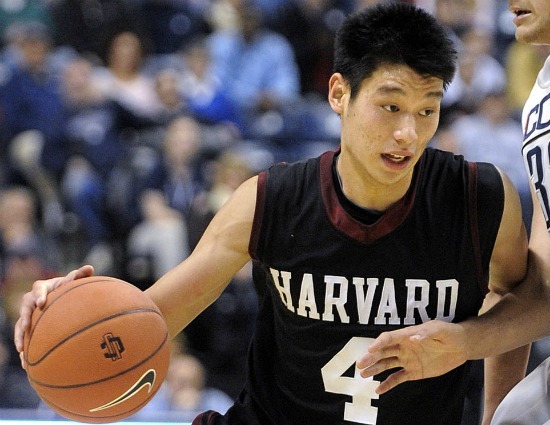 Back during his days at Harvard, Lin had a pretty standard haircut. 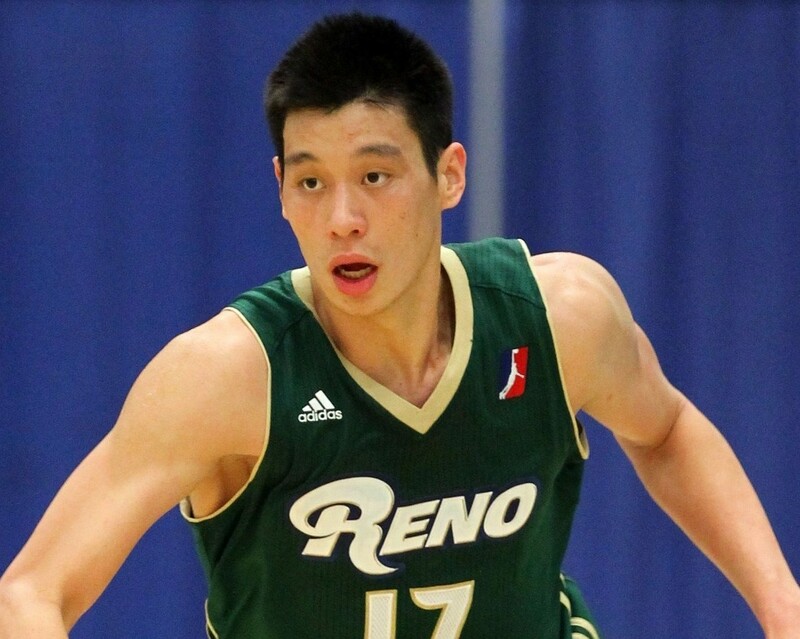 Here’s Jeremy playing in one of his twenty games with the Reno Bighorns of the NBDL. 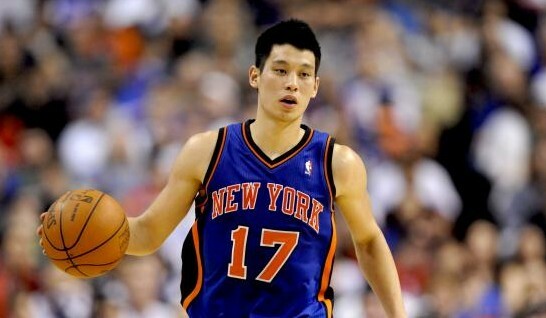 Lin would play a total of 21 games in the NBDL including just one game with the Erie Bayhwaks before being called up by the New York Knicks. 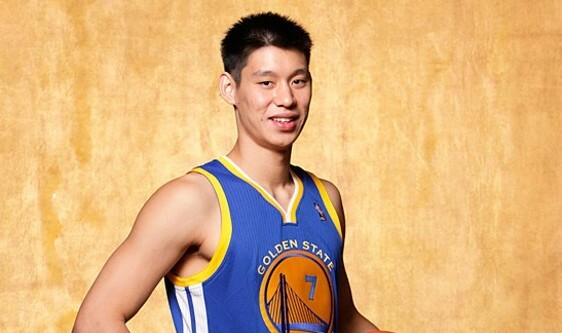 Here’s Lin with medium-length hair during his rookie year photo shoot in Golden State. 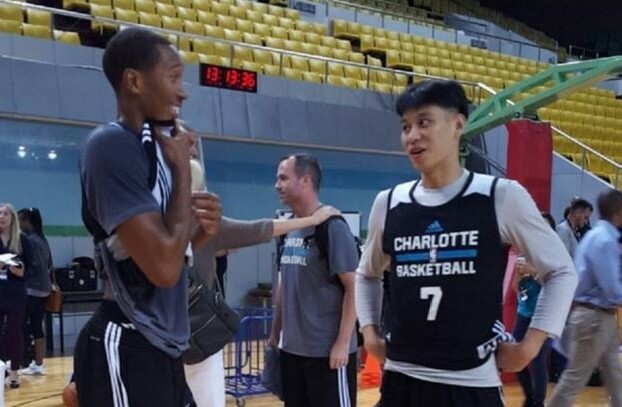 Lin’s time was shared between the NBDL and on the bench behind star guards Steph Curry and Monta Ellis. 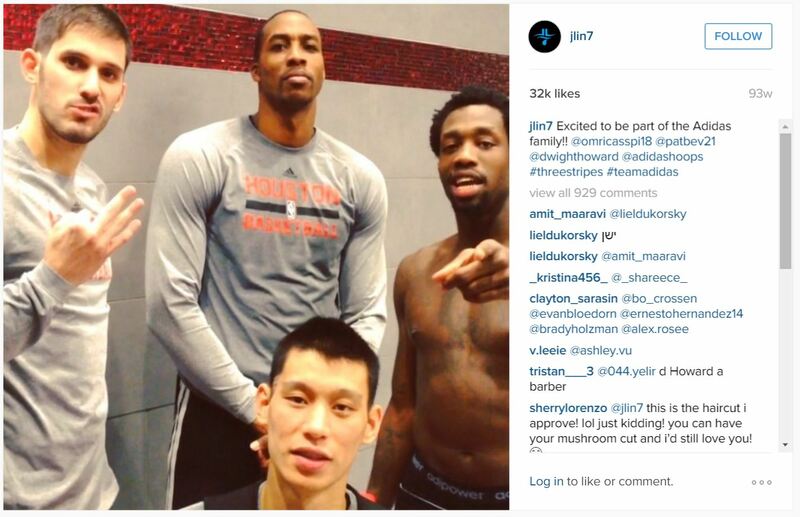 During his stint with the Houston Rockets, he got the three stripes from the Adidas logo shaved into his head (by Dwight Howard) when he signed with the shoe company. 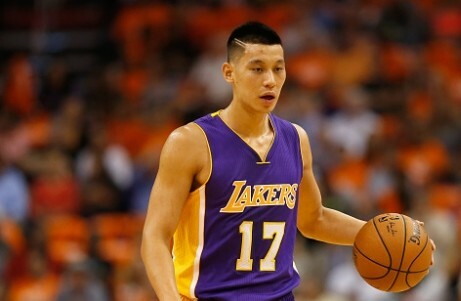 With the Lakers, Jeremy Lin was looking sharp with this close cropped cut with a couple lines shaved onto the sides. 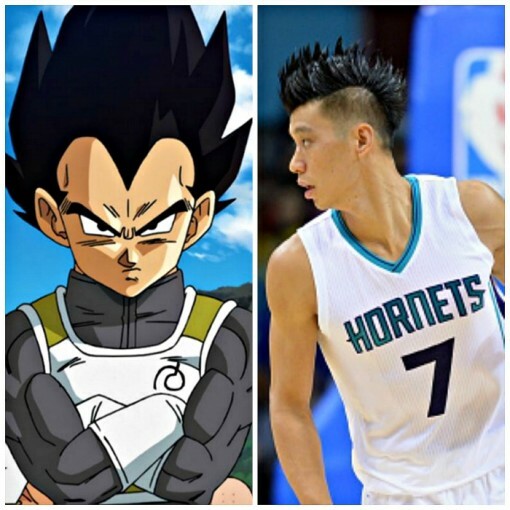 His new Dragonball Z spikey hairdo with his new team, the Charlotte Hornets. 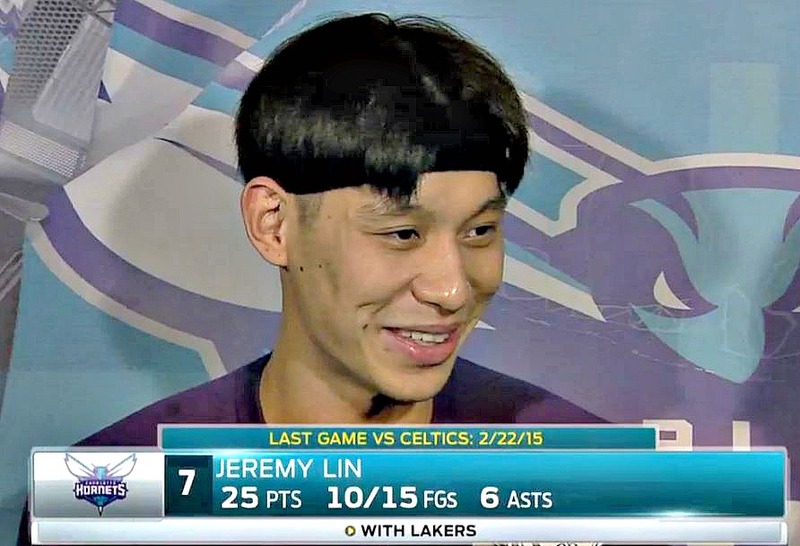 For a few days, Lin brought back some child memories with this terrible bowl cut. 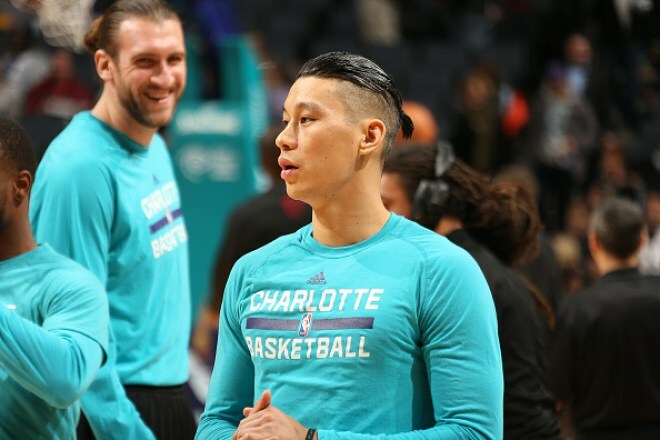 Jeremy lin with the mini ponytail man-bun? 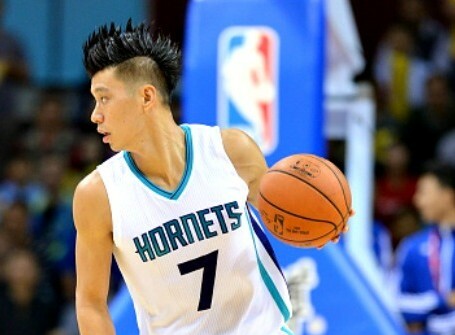 Jeremy Lin bowlcut with double widows peak?